How do I find a job in an Austrian ski resort? To be honest, that’s probably the most frequent off-season question we get at this site. And since that’s how many expats ended up in ski resorts, there’s a fair bit of sympathy for people trying to follow suit. Unfortunately times have changed over the decades and there have been some major social and political changes which have made finding that elusive ski job even more difficult. Gone are the days when the majority of Austrians were wealthy enough to not want to get their hands dirty with a menial position in a hotel. And, even if that were still the case, all those empty posts as dishwasher or porter now attract a willing and generally pretty able population of completely legal EU citizens (who almost certainly speak more languages than the general English mother tongue applicant). Yes, it used to be easier. Yes, you can still slip through the cracks if you get lucky and the employer gets desperate. But, as mentioned above, there are many thousands of people who are now qualified, and even more who may be unqualified but can still work legally. If you fit the kind of description above, start making contact with potential employers towards the end of the summer season (hotels, bars, restaurants, ski schools (if you have Austrian-recognised qualifications from your own country) and lift companies). Write in German if you can and explain why they would be stupid not to hire such a willing, personable and experienced employee such as yourself. Keep the replies. If you don’t get an offer, you can use them in stage two, which is when you arrive at the start of the season and start knocking on doors in your chosen resort. Contact all the people you wrote to, tell them that you contacted them previously and that you are now in the country and ask if their situation has changed in the meantime. Lastly – and this advice goes for all jobseekers – bring enough money to stick it out through New Year. Enough people get fired or walk out or move to better jobs or damage their bodies on the slopes that there is a certain amount of flexibility in the job market. Hopefully by that time your face will be known and that in a positive light! Same qualifications as above, with the German possibly being less important. Here we’re talking about businesses such as Irish bars, ski hire shops in resorts with lots of English or Scandinavian speakers, and other businesses that have traditionally employed foreigners for whatever reason (some mountain restaurant owners like to have English-speaking waiting staff, for example). These kinds of jobs are far more limited and tend to go by word of mouth. Get the news out back home that you are going to Austria and see if friends of friends or distant relatives have any connections. This is the classic way for people to gain a toehold in a resort – or just to enjoy a winter of hard work, skiing and fun. As such there is a lot of competition for jobs with travel companies and it is worth thinking about anything that sets you apart (language, catering experience, leading youth groups, etc.). Within the bigger companies, there is even competition between current staff for the winter sports jobs and, as someone who has no experience, you are far more likely to be employed by a smaller company (or to be employed by a bigger company but to have to “serve your time” in a beach resort first). Mainstream companies are essentially looking for travel reps – people with organisational skills, a sunny disposition, ability to react well under pressure and a genuine enjoyment of other people. Smaller companies and certain bigger ones will be looking for the above, plus maybe nannies (for company-run resort creches), ski instructors (careful here, the Austrian laws are pretty strong on what is and is not legal) and especially chalet staff (chalet personnel, waiting staff for the bigger chalet hotels, and maybe a handyman in really big operations). 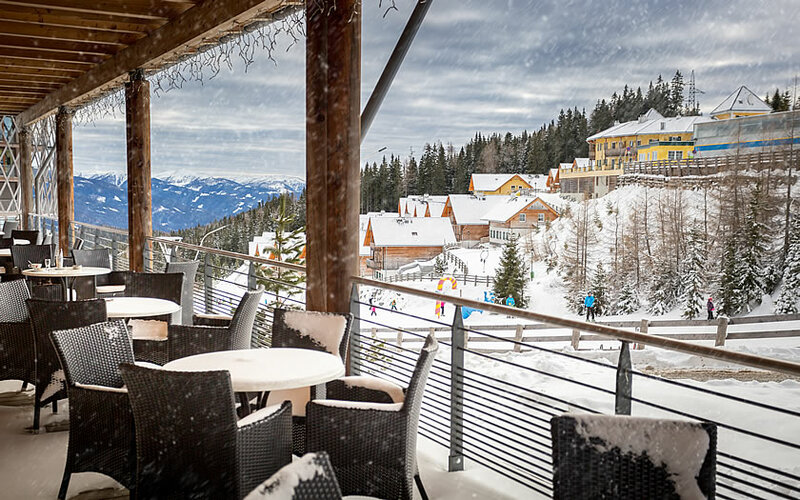 Be aware however that there are few resorts with big chalet operations in Austria (St Anton, Kitzbühel and Zell am See have tended to be the bigger ones).